Juli has over 10 years experience as a REALTOR. Over those years, she has been awarded as a Million Dollar Producer numerous times. Juli has a passion for design and is a graduate of Home Staging Diva. She specializes in helping sellers stage their home to get them top dollar, and can also help any buyer make their new house feel like home! Juli has also run a small business, has her property & casualty insurance license, and served as a Main Street Manager for downtown Bedford. These experiences make her a trusted advisor on business and residential properties. She is very active in the community and enjoys spending time with her two sons. 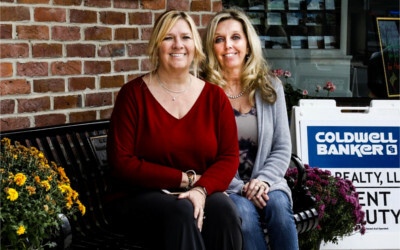 Cara is working her 5th year as a team member at Coldwell Banker SKS Realty. She is a multiple award winner and holds certificates in Interior Design, Photography and just this year has been Smart Home Certified. She has owned her own business for over 14 years and stays busy teaching violin lessons, shooting photography and participating in community activities. Whether you are a home buyer or seller, Cara will guide you through the Real Estate transaction with excellent communication and hard work. Not just an agent, your HOMETOWN agent! Valorie has been a real estate professional with Coldwell Banker SKS Realty, LLC since 2010 and achieved status of million-dollar producer in 2012. Valorie prides herself on her customer service skills, consistent communication and strong attention to detail. Valorie and her husband have called the Everett area home since 2004. They enjoy the people, seasons and many outdoor activities the area has to offer – making it the perfect place for them to raise their son. Eleni M. LeVan has a Bachelor’s of Arts degree in Communications with a focus on Advertising from The Pennsylvania State University. Eleni studied Real Estate at Polley Associates and has continued her Real Estate education with supplementary classes in an effort to stay in touch with the latest Real Estate trends and marketing techniques. Your home or business will not go unnoticed with Eleni’s promotional expertise. 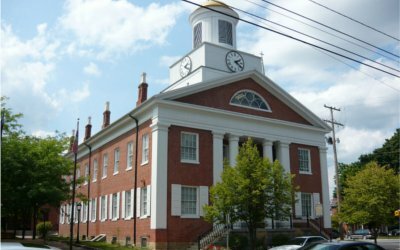 Living in Bedford County for over 25 years has helped to keep her familiar with the area and it’s Real Estate sales trends. A fresh perspective along with the use of cross-platform promotions and new marketing techniques set her apart from the rest. Competitive sales production along with her persistence and hard work has given her an edge and a hunger for success that not all agents in Bedford County have. Marla has been a REAL TOR® since 2008. She attended real estate classes through Penn State Altoona. Marla also attended Allegany College. 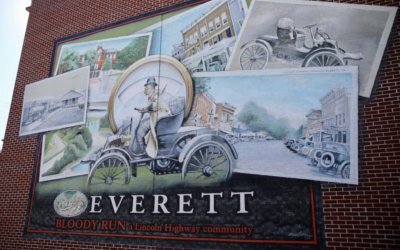 As an Everett Area School Board Director, member of Everett Area Better Business Association and local Church Deacon, Marla is deeply invested in the community and proud to serve her charming home town and its residents. Work with a hometown girl who loves her hometown! I am a 20-year resident of Bedford County. Prior to moving here to raise my family in the peaceful, rural beauty of this area, I lived in northern Delaware where I held a real estate license. After moving to Pennsylvania, I spent about 15 years in the banking industry where I was a community office manager and a small business lender for a local bank. My husband and I are active in the community where I serve on the special events committee for the Bedford County Chamber of Commerce and was recently asked to serve on their Board of Directors. My husband and I own several businesses, multiple rental properties and have 5 amazing kids. In my spare time, I love to travel… especially to any place that features sand and sun. I am an excellent marketer…this combined with my love of Bedford County and my determination to provide excellence in service is a winning combination for buyers and sellers! William has been a Pennsylvania Licensed Real Estate Sales Agent and a full-time agent with Coldwell Banker SKS since 2005. Beginning in 2005 he has been a member of the National Association of REALTOR® and the Allegheny Highland Association of REALTOR®. 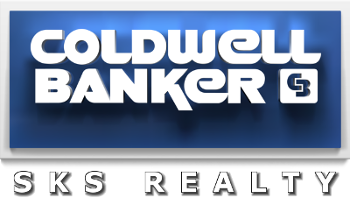 He has the distinction of being a Coldwell Banker Multi-Million Dollar Producer in 2006 and 2007. He specializes particularly in residential and land sales. William holds a degree from Auburn University in the School of Industrial Design which led to a thirty year career in product design and development. As a hobby photographer, Bill captures the picturesque landscape of Bedford County while enjoying the outdoors with his family and his pets.